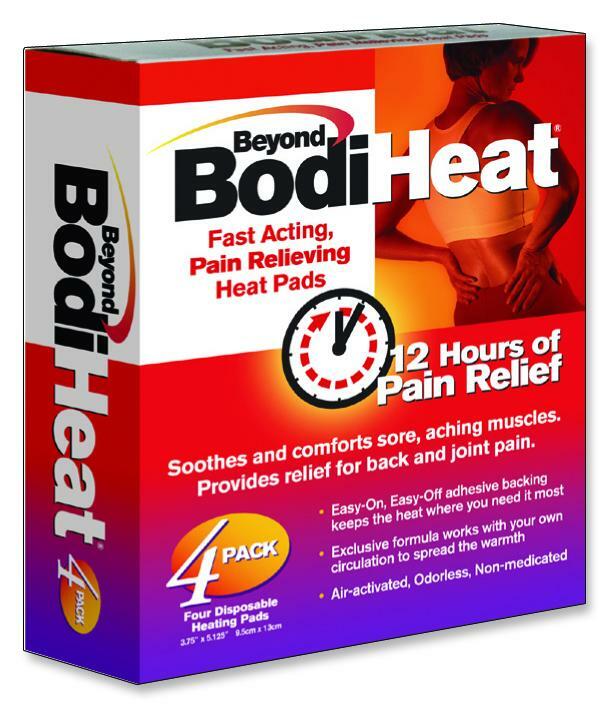 Beyond BodiHeat® is an easy-to-use, nonmedicated, air-activated heat pad that delivers up to 12 hours of soothing pain relief for sore muscles and joints. Our exclusive formula works with your own circulation to spread the warmth farther and ease your pain fast. Designed to be worn over clothing. Easy-on, easy-off adhesive backing keeps the heat where you need it most.